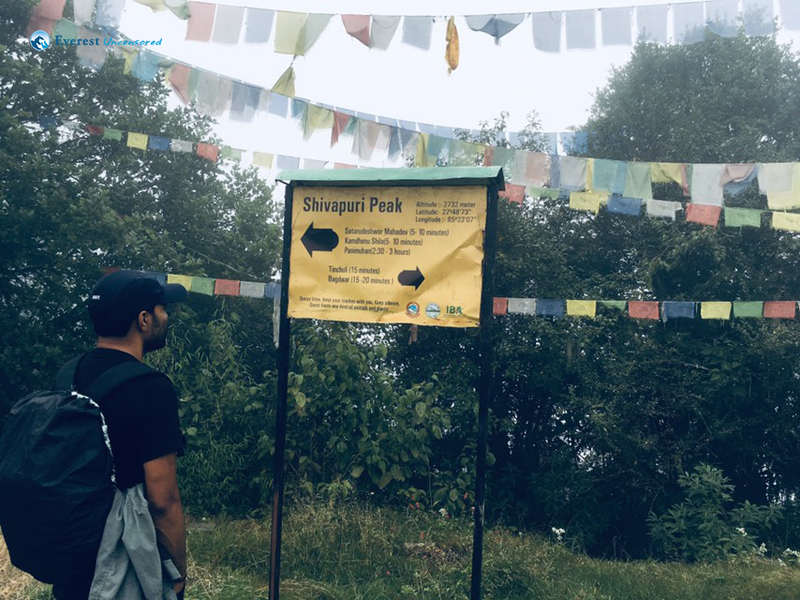 Osheen Shrestha If you want a break, a must needed a break from your day-to-day boring life and get away from the hustle of the city, then make a plan to go hike to Bagdwar. Believe me, it will help. 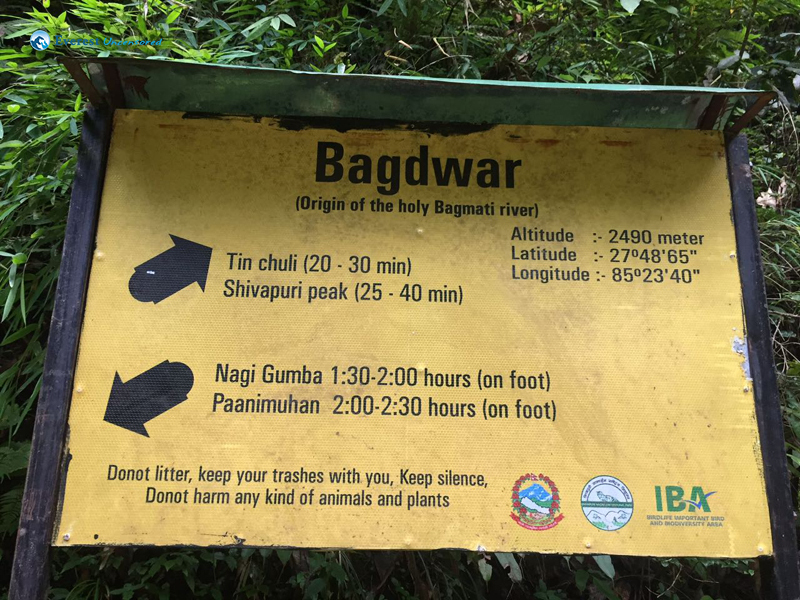 Bagdwar is one of the best destinations for a one-day hike, a bit tiring but worth it. 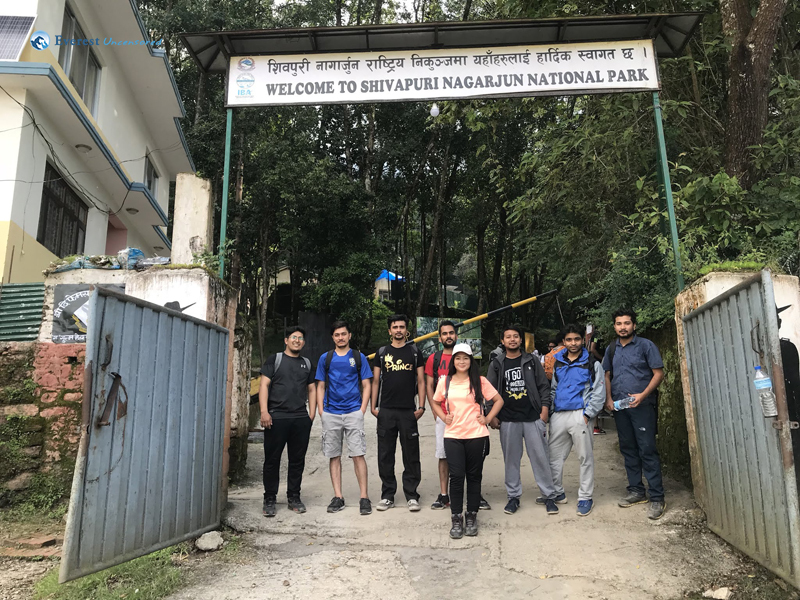 On 31st September 2018, I started my day with 13 other participants on a hike conducted by Deerwalk Services. The participants were informed to be present in Deerwalk Complex by 7. Unfortunately, I could not make it. I reached at 7:30. Some were late as well. 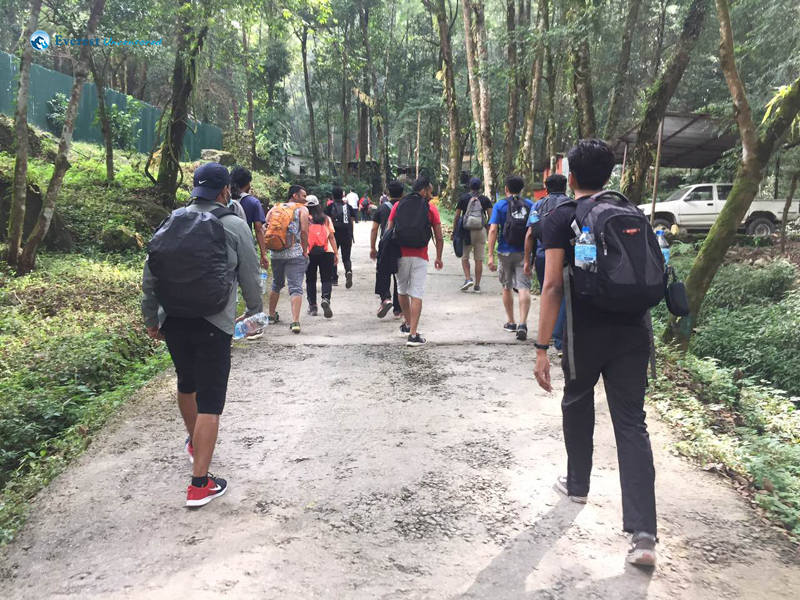 We did not start our journey until every participant were together. Till then we warm up our body and started to play TT, one of the popular game in Deerwalk. And we left the premise at about 8. I could see familiar faces so I did not have to try hard to get along or to tease them. Our first stop was at Budhanilkantha temple where we had our breakfast. The roti, potato, and tea that we had made my growling stomach shut up. Then we hurried to get into the micro. 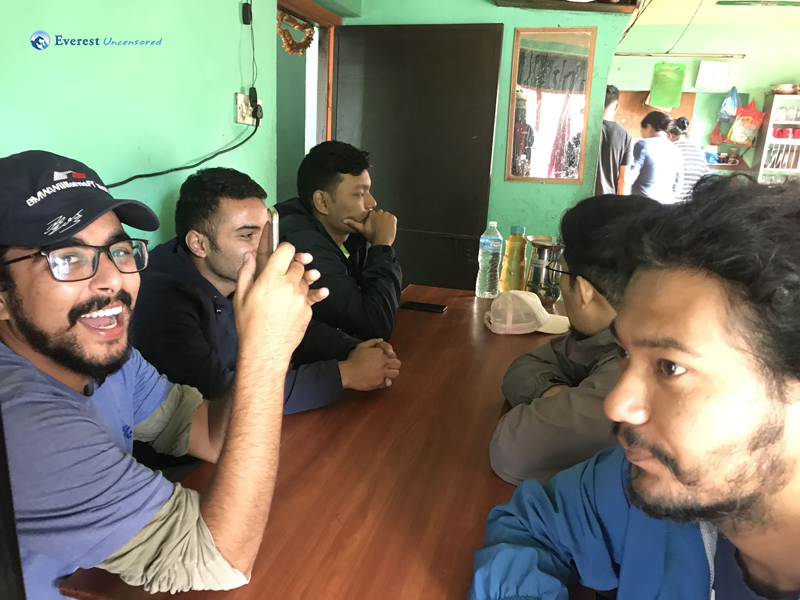 The moment we got into the vehicle, we got into the huge discussion (exaggerated) whether to take the vehicle to Shivapuri National gate or not. We came to the conclusion that it would be risky to take the vehicle so we decided to walk. 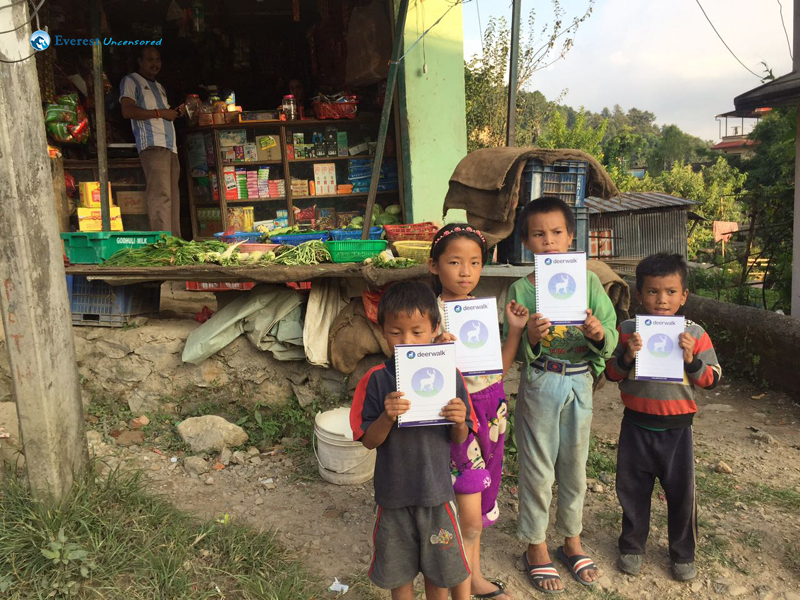 Anil Parajuli, the coordinator of this hike, gave us two notebooks and a bunch of pencils to give to the children; a bit of social work and I was happy to be part of it. 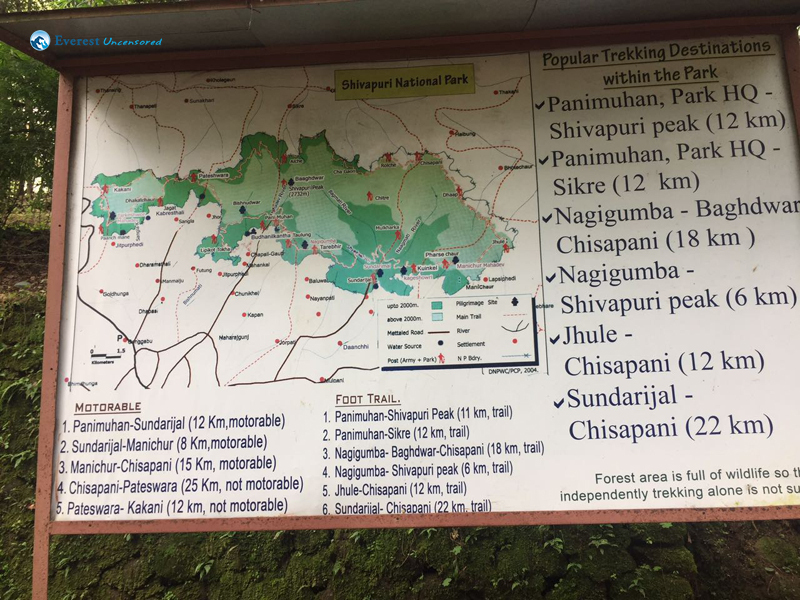 After 20 minutes of walk (since the actual hike has not begun, I will limit it to walk), we reached the Shivapuri National Park entrance. The guards took our names and gave us tickets for the park. 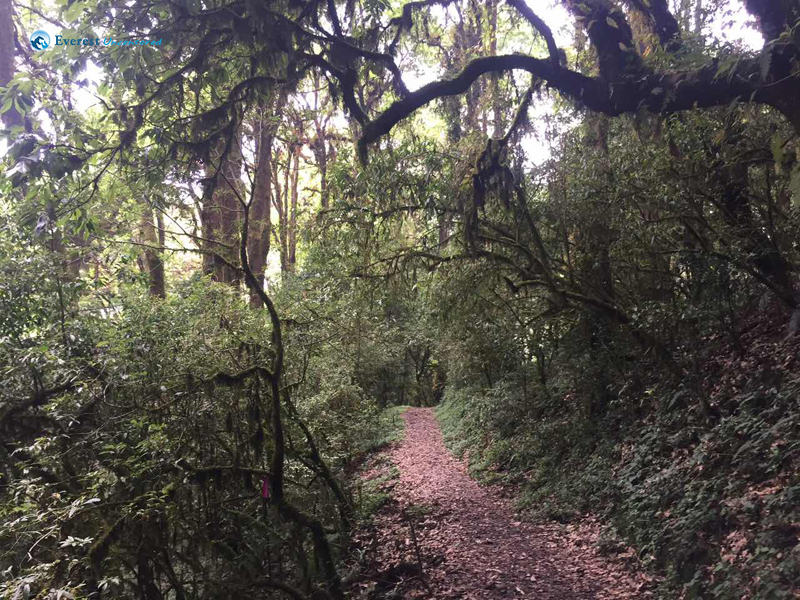 I was very excited, as were others, to begin our hike in the damp jungle. 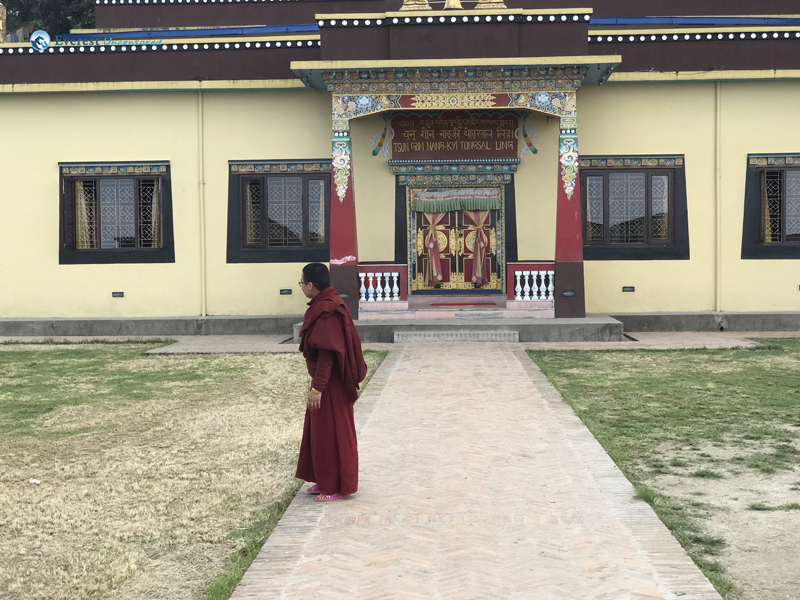 Within an hour or two we reached peaceful premises of Nagi Ghumba. We took some time and rested there. To recharge our energy, we had noodles, biscuit, and glucose. We needed it because the tough trail had not started yet. Then the hard journey began. 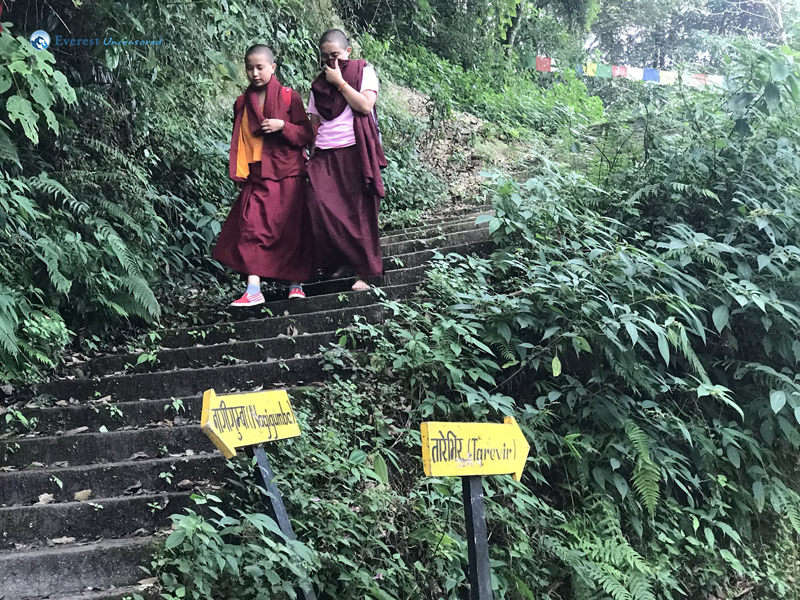 Due to the steep inclining stairs, the hike got even tougher. Then out of nowhere, the weather started to become gloomy. But, luckily it did not rain. If it had rain the hike would be depressingly tough. 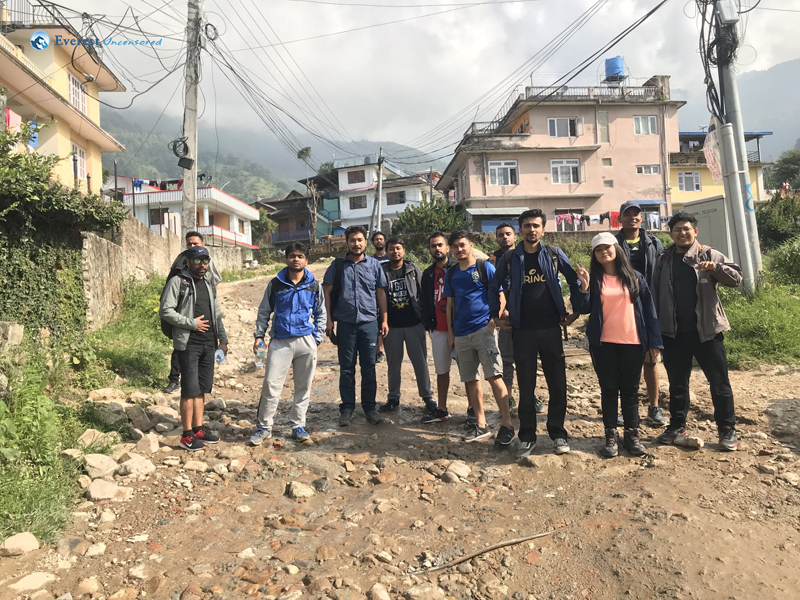 On the basis of the walking pace, I categorized our group into 3 – the fast group, the slow but steady group and the “I need to rest” group. I and my 2 other friends belong to the slow but steady group. My group got into this huge debate if aliens exist or not. I was totally into this debate, which made me forget about the pain of the long journey. 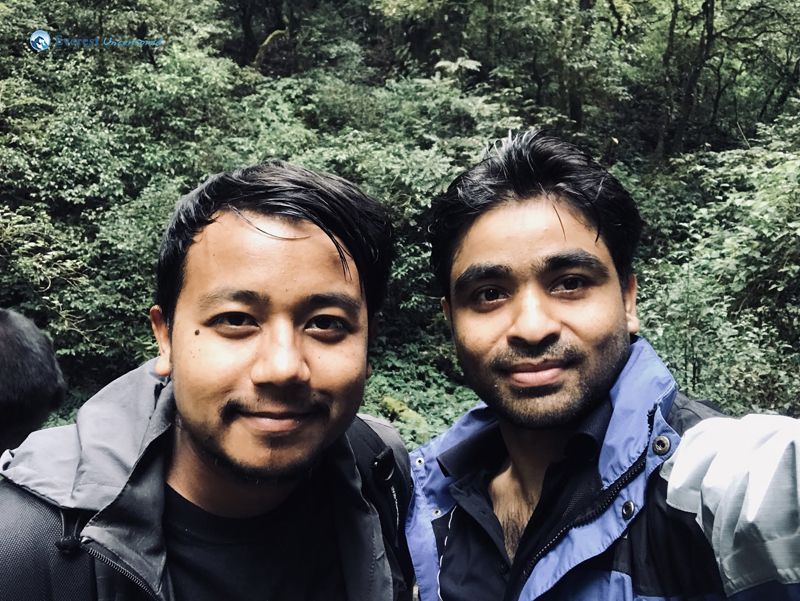 “Good company in the journey makes the way seem shorter.” And truly, this is what happened. Suddenly, we were already in front of the stand board, our destination. We didn’t know when we took the two-hour long walk. 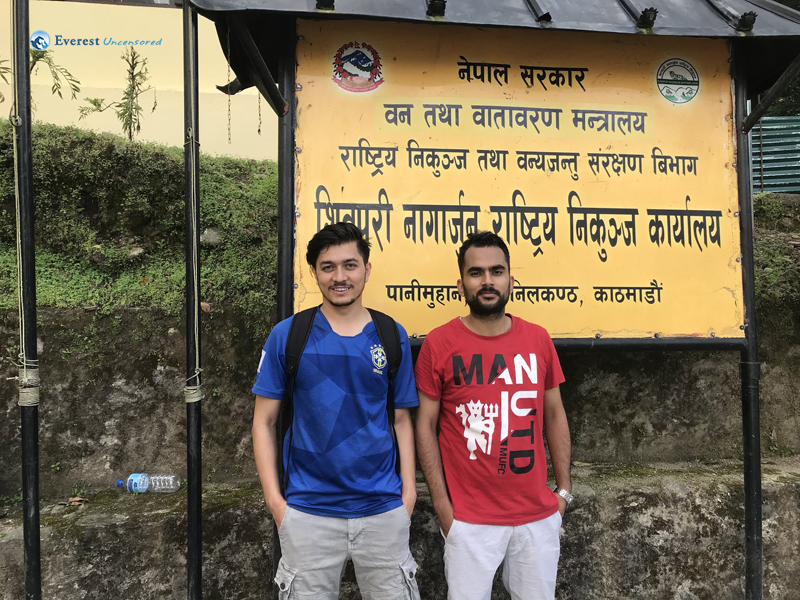 After 4 hours of journey, we reached our final destination, Bagdwar. 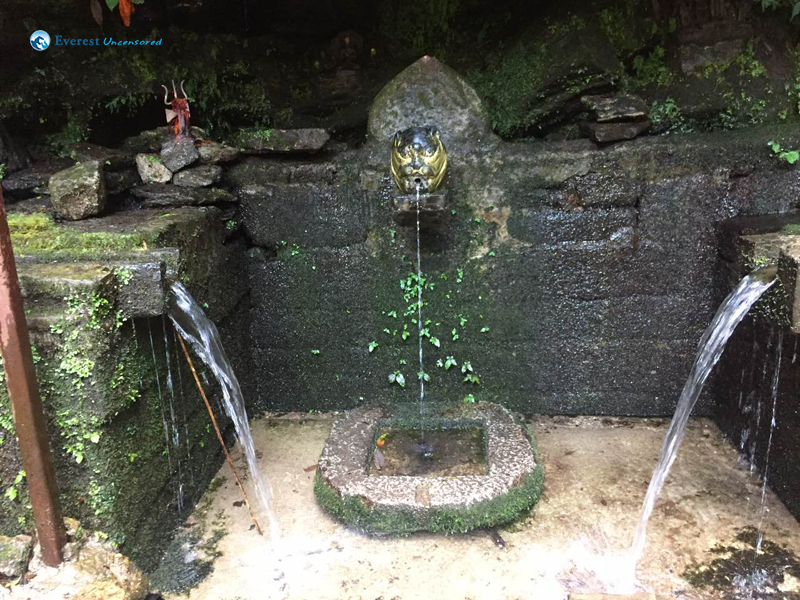 The place is named after the Nepali term for tiger and has a stone spout resembling tiger’s face. 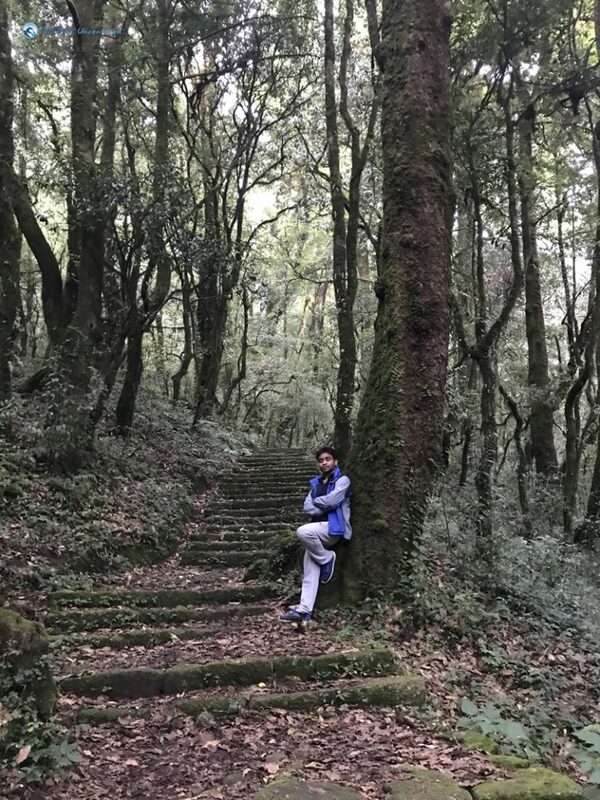 It was like a small courtyard in between two hills with a small pond amidst which a small sculpture of Lord Shiva stood. 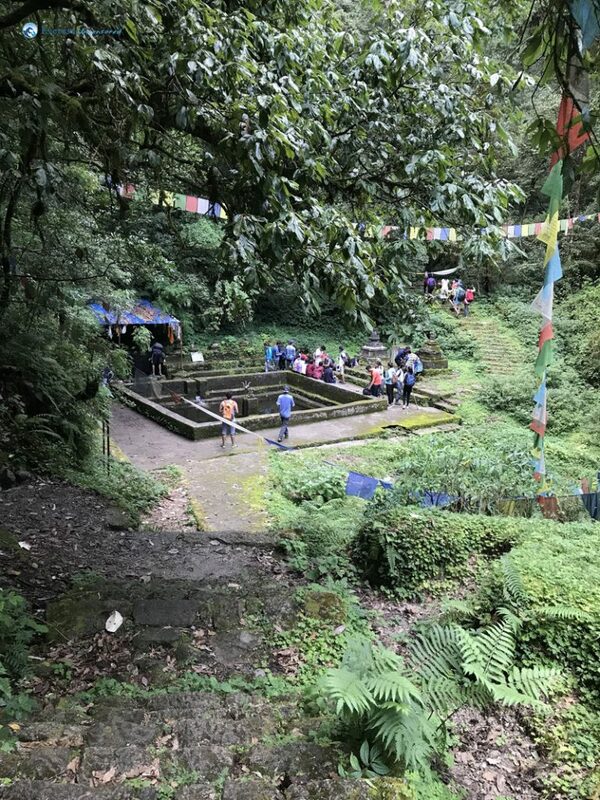 The water from the place is said to be the origin of the holy river ‘Bagmati’, thereby making it an important place for Hindus as well as Buddhists. It was so silent and delightful that we forgot the world outside. The water from the spout so chilly that we could feel its chill as it down poured into our stomach. To our surprise, we found a hut where a ‘Baba’ served tea and biscuits as well. The hut was about 5 min uphill from Bagdwar. 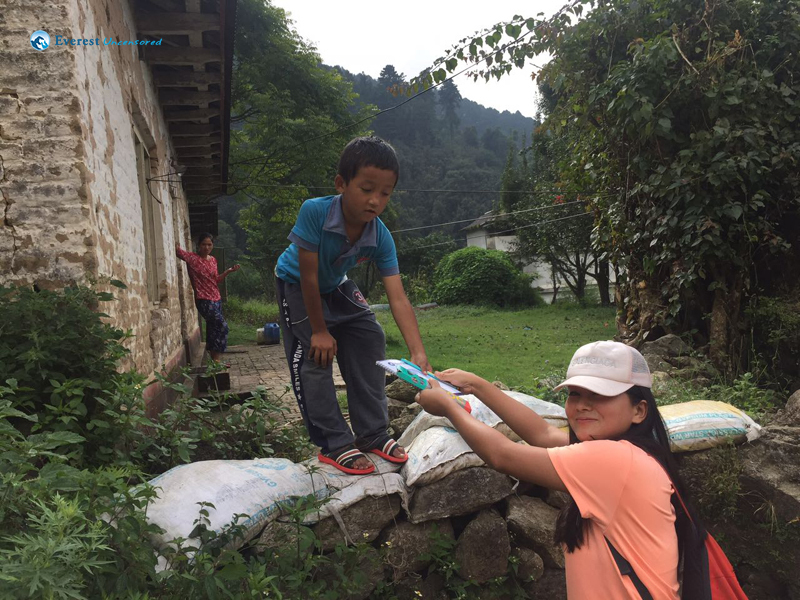 We energized ourselves with the foods, snacks, and fruits that remained with us; had a chat and decided to head down as the sky looked dark and about to rain. We headed towards the main entrance where we started our hike 4 hours ago. We bypassed the Gumba where we had our snack during the ascend and directly reached the main entrance. We then waited for everyone to arrive and then we headed further down towards the sight and sounds we were familiar to; the normal life. We had a quick break and ate amazing pani puri. It was probably the best Pani puri I had till now. Our transport was waiting for us at the entrance of Budanilkantha so we reached there after 30 minutes of walk. 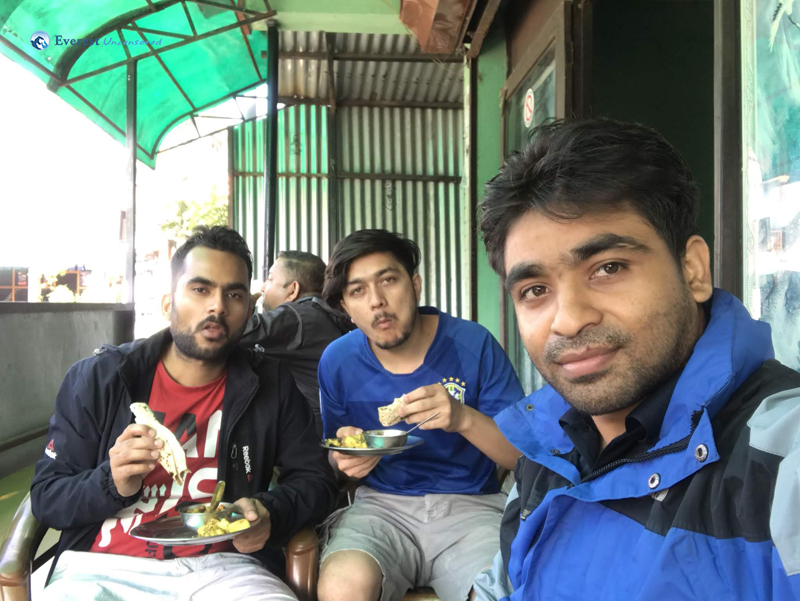 Then to end the hike we decided to have Thakali food at Maharajgunj. 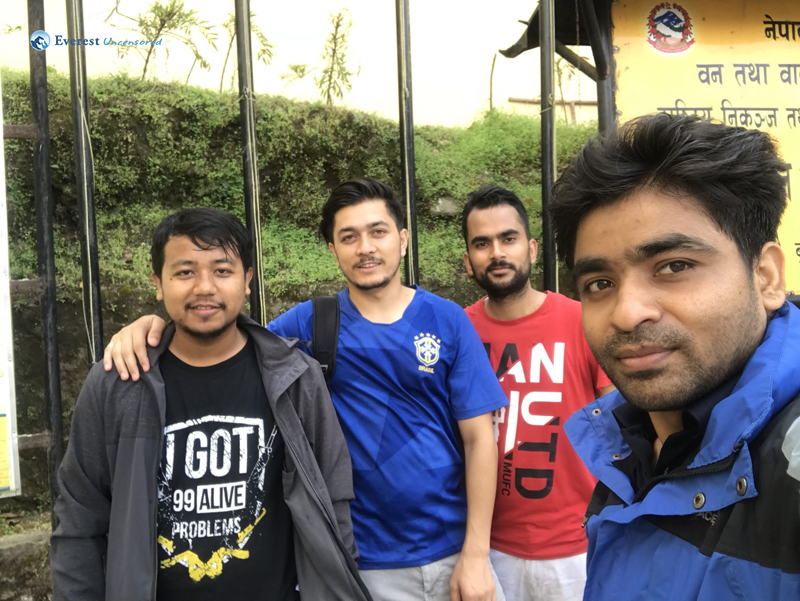 With our exhausted body and a full tummy, we reached Deerwalk premises at around 6 in the evening and then everyone said their goodbyes and went their way.